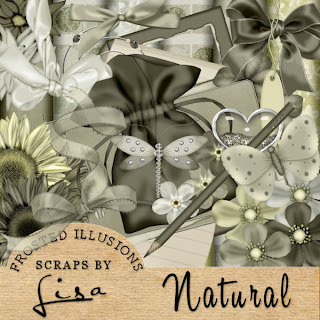 Another new one that will be avialible in the store tomorrow 1st September. Again this is priced at my normal price of $2.75. 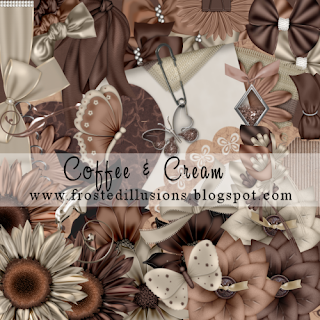 These two kits will both be availible from the store when it opens tomorrow, 1st september. 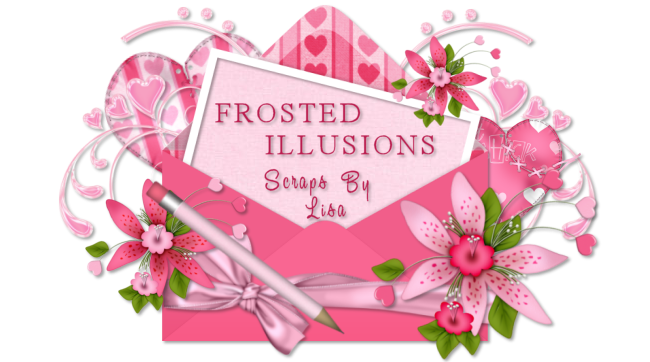 If you have trouble finding them amongst all the other wonderful creations, you can click on "frosted Illusions" in the designer links on the right hand side of the store & all my kits will appear. 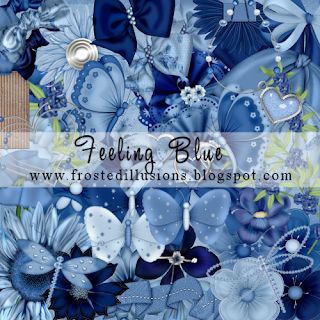 Click on the Blinkie to take you to the store, don't forget there is a free colabaration kit with your first order. 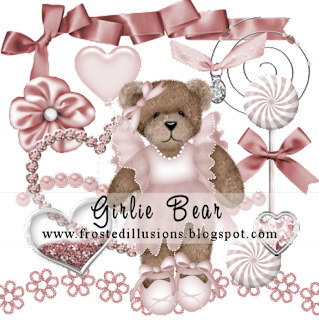 Paola has written this new cute tut using my "Imagine" Kit. 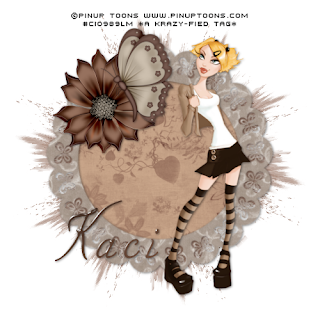 Lacey has written two fab new tuts using my kits. 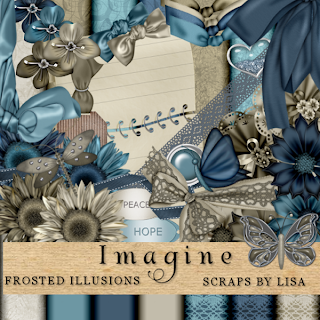 The first is called Imagine & was made using my "Imagine" kit. Lacey has used the fantastic art work of Anthony Guerra, so I can't post the tag for it as it contains adult content. Before clicking the link...... if ladies boobies give you nightmares dont click lol. Just to let you all know that i haven't abandoned you all lol. I've been really busy sorting out my stuff for the new store. So if i haven't replied to your messages or emails yet, don't worry i will get through them all & respond to each & every one of them. 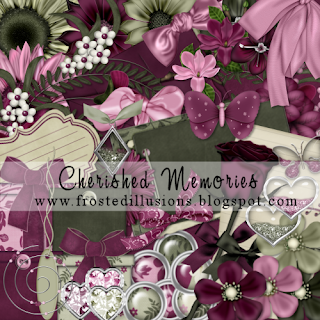 Lorna has written this wonderful cute tutorial using my "Cherished Memories" kit. 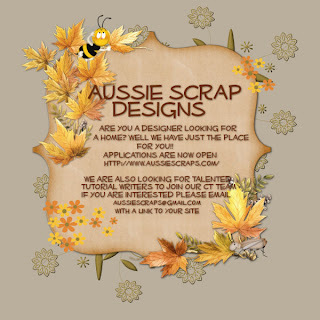 Do you make scraps ? fancy being part of a brand new store? Or do you write tutorials ? Fancy being part of a fantastic creative team? 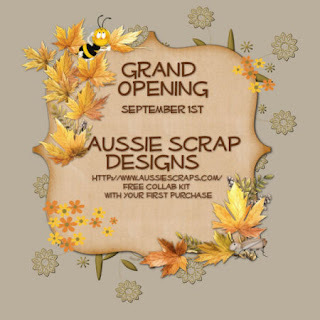 WoOo HoOo Gail is opening up her new store on 1st September. This is exciting stuff for me, as i finally decided to get my backside into a store & sell my kits. Where better place to start than a shinny brand new store. Make sure you get yourself over there when it opens, before you miss out on the fantastic collab kit free with your first purchase! I'll keep you updated with the progress of the store & remind you when it's opened so that you don't miss out. if it's getting on your nerves, it's down the bottom of the page on the right. Quiiiiiiiiiiiiiiick turn it off lol. I was going to remove my oldest kits from my blog, but many of them are used by tutorial writers. So i have reduced them all to $1 forever! I've noticed that a lot of you purchase more than one kit at a time. So with a little help from a friend (thank you Tracey) I've managed to add a shopping cart to make things easier. For those of you that what to buy just one Item, nothing has changed. You just click the add to cart button & then proceed to the check out. If at any time you wish to see what is in your shopping cart, click on the view cart button over on the right there. Any problems with it holla at me loudly lol. 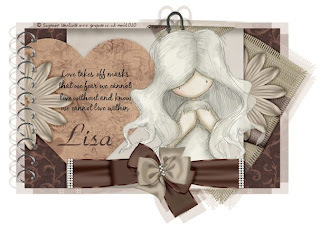 Rachel has written this fab new tut using my "Shabby Chic" kit. I was fiddling around & came up with this. It's all saved in seperate layers in PSP format & is for personal use only. I enjoyed making this one, i hope you like it. Theres much more in the kit than shown in the preview. A full list of contents is below. 2 x Gift Boxes with Bows. 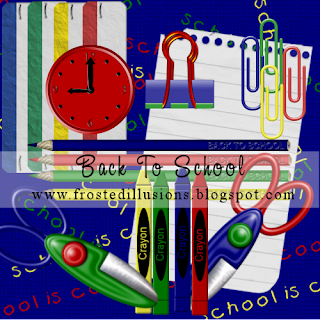 I was messing aroung with a few bits & pieces & came up with this little school kit. Hope you can get some use from it. 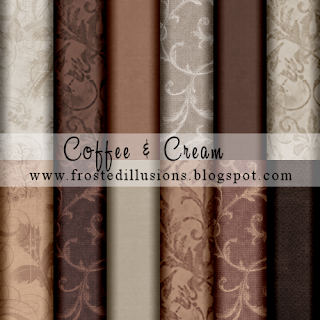 Brandi has written this fantastic new tut using my "Coffee & Cream" kit. Lol sorry i just had to announce that i have actually written a new tut! I havent written one for so long i just had to show off lmao. then post on their blogs to let them know about the reward. Right i'm just about sick of do gooders that dont get thier facts right. Now you want to report my backside, go for it, just make sure you're prepared to kiss it on the way back up! This is another bear made from a tutorial. Hope you can get some use from her. I really have awarded & tagged everyone i can, more than once now. So to avoid becoming a total pain, im not going round again lol. 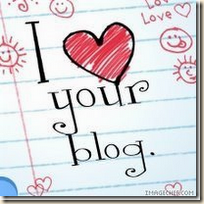 But go check these ladies blogs out, they are all well worth a visit. 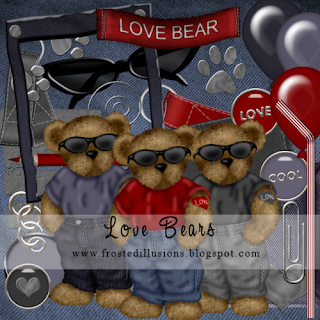 I made these cute little bears a while back from a tutorial. They've been sat on my comp & i didn't quite know what to do with them. So i knocked up a few bits to go with them & here they are. There's more in the kit than shown in the preview. I hope some of you can get some use from them. 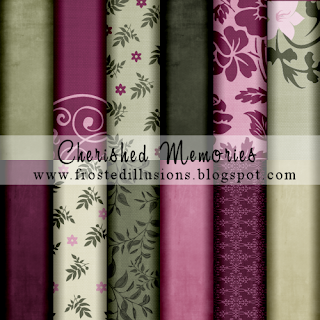 Here's my latest Ptu Kit, entitled "treasured Moments"
a full list of content is below. 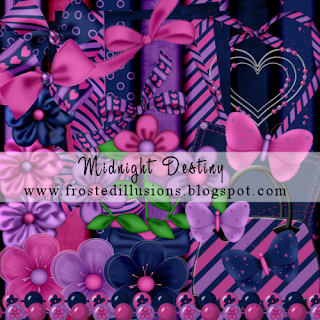 Gaylene has written this fantastic new tut, using my Midnight destiny Kit. Gail, i'm getting a bounce back message from your email hun so i can't send to you. Drop me a line when it's sorted. Lol Lorna is on a right roll with these tuts lately. 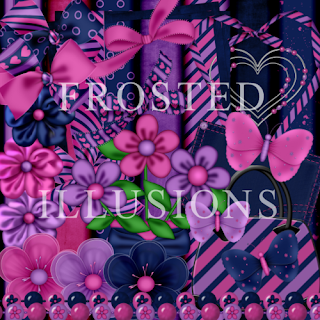 This is her latest one, it's entitled "Dreams Do Come True"
Using my "Lilac Time" Kit. 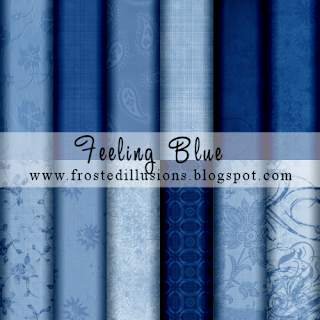 Myrtle has written a fantastic new tut using my feeling blue kit. I'm not being a party pooper but i'm calling time on this now. 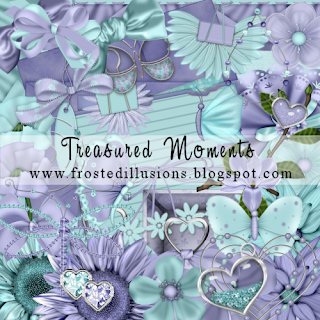 I've awarded & tagged everyone i know now & have run out of blogs to list. 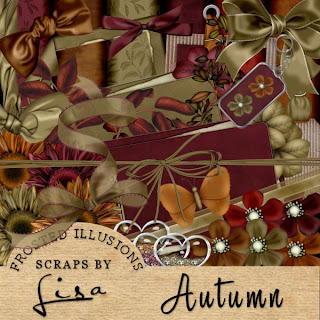 Lorna has written these two gorgeous new tutorials. 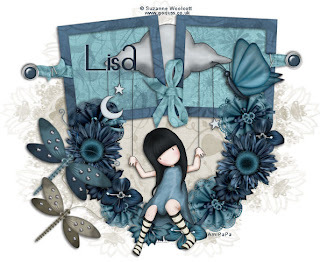 Congratulations to Emily on winning the competition to name this kit, well done huni. 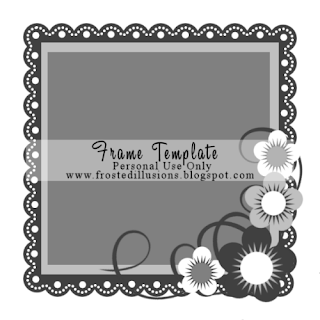 Ok i made this freebie kit for you all, but i have no idea what to call it. Wins the ptu kit of their choice from my blog. If you have all of my kits, as i know some of you have, i'll write you an IOU for the next one i make lol. 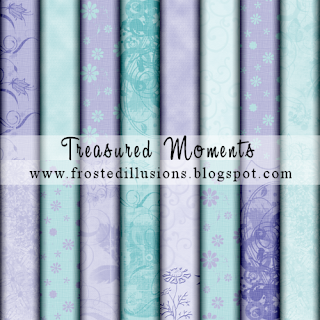 You can have as many goes as you like, just leave your name & entry idea either as a comment below, or if you can't use the comment board, leave them in the shout box. Ok get thinking, the clocks ticking! Yes i've changed it again lol. 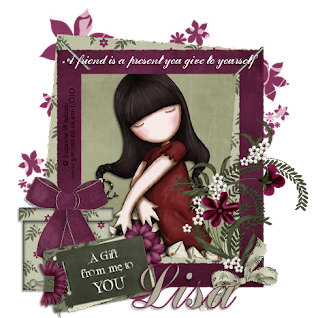 I couldn't resist using this fabulous new kit of Yvette's, it's absolutely gorgeous. After the Success of my Lilac Time Kit, I thought i'd make another simular one. Again there is more than shown in the preview. There is a full list of what the kit contains below.